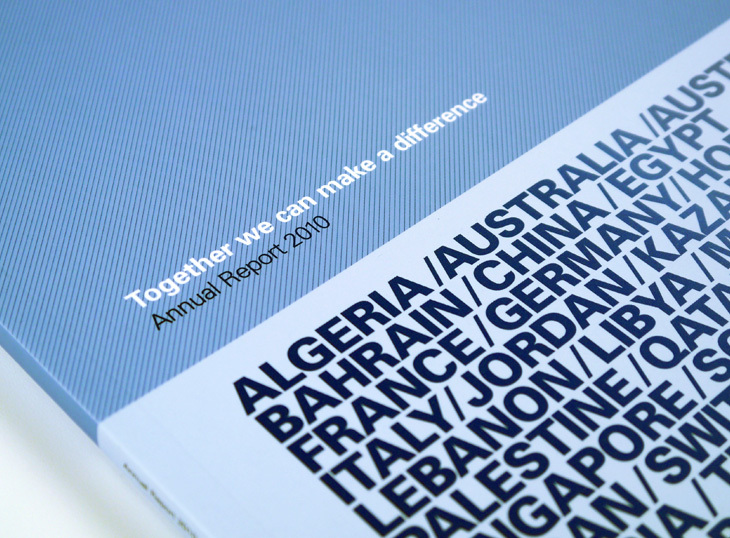 Europe Arab Bank plc (EAB) is the start-up European operation and wholly-owned subsidiary of Arab Bank, one of the largest financial institutions in the Middle East. 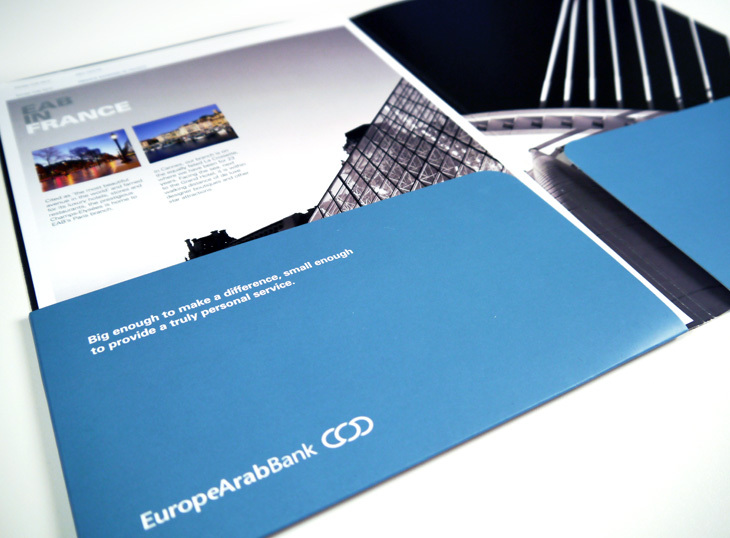 Working with our strategic business partner, Gabriel Research & Management, we were asked to create an overall brand identity and marketing programme to help establish EAB as the bank of choice for clients in Europe and the Middle East. 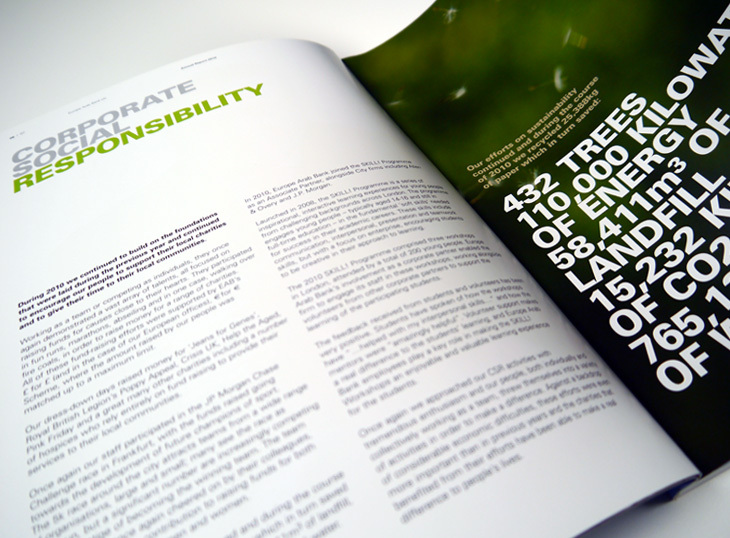 The project involved brand strategy and implementation from inception to launch, from guidelines and internal comms, to sales and marketing literature, to financial reporting and web presence. 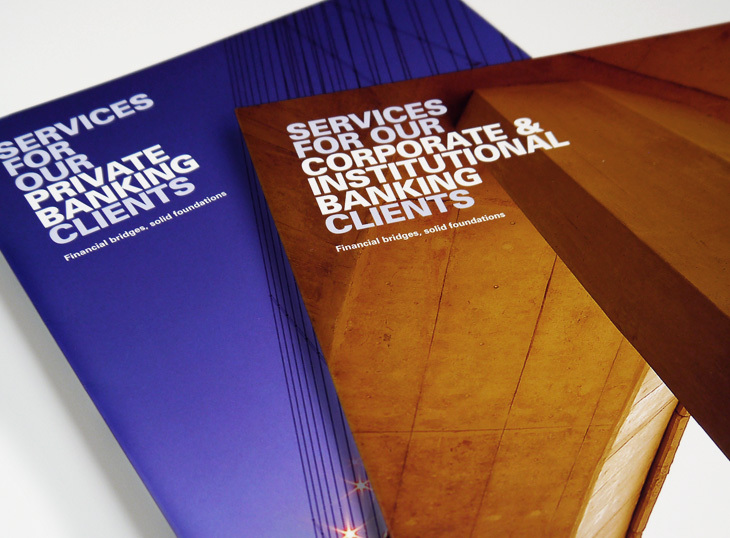 Positioned as a dynamic modern bank and specialist, niche provider to private and corporate clients in Europe and the Middle East. A modern and distinctive identity, the brief for which stipulated that it should be based on three circles to ensure synergy with Arab Bank, the parent company. The site had to appeal to clients in both Europe and MENA, and be viewed in five languages. Reserved for the most discerning customers, the Visa Gold card offers exclusive benefits and hand-picked privileges, worldwide. 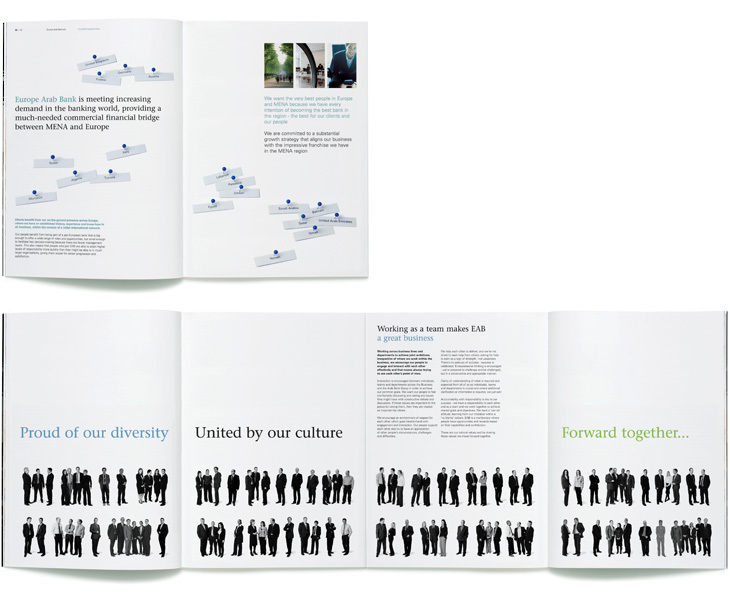 Identities for a series of exclusive Financial Forums at the London Stock Exchange, hosted by EAB, and their internal ‘think tank’ strategy & planning team. 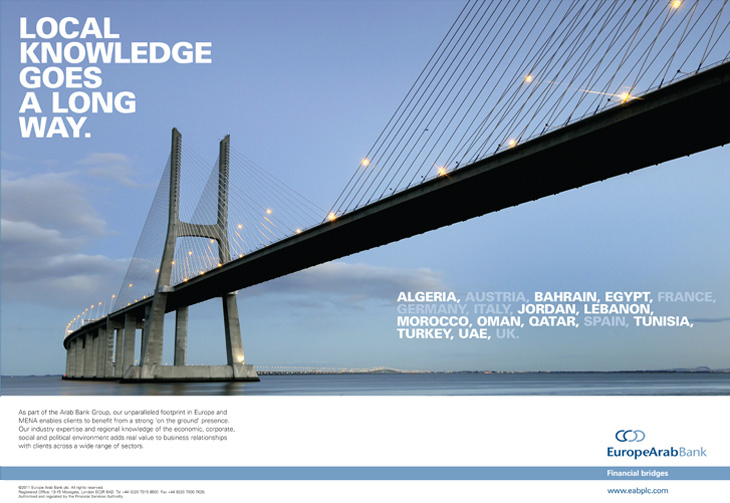 Communicating the theme of financial bridges between Europe and MENA, each pack contains literature aimed at specific audiences.